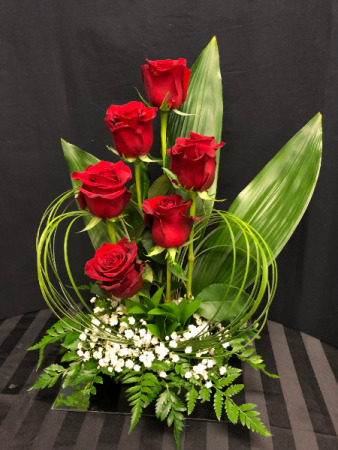 Beautiful Red Roses arranged with bear grass shaped as a heart. 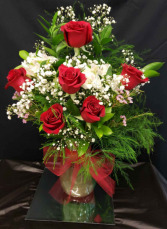 She will love this!! 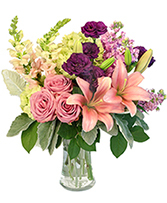 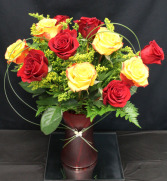 6 Long stemmed Red Roses arranged in a vase with babies breath, tree fern and leather leaf.